Just after I had lamented, a few reviews ago, that authors were not inclined nowadays to indulge in old-school, one-on-one collaborations, along comes this giddy, engrossing romp of a novel authored by a team. 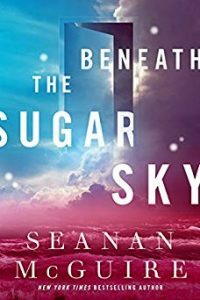 It’s a seamless performance reminiscent of such ancestors as de Camp & Pratt, while still hewing to ultra-modern standards and practices for SF novels with a magical slant. One of the team, Nicole Galland, says: “Working creatively with one other person for more than a year…is 50 percent mind-melding and 50 percent keeping a deliberate distance (and 50 percent doing something in between)…” That’s the kind of partnership that produces wonders. Despite this close cooperation, the resulting tale does not necessarily read like a 50-50 fusion of the two creators. Being quite well-versed in the works of Stephenson, yet, regrettably, not at all with the books of Ms. Galland, I feel I can nonetheless say with some confidence that the book tastes more like a Galland cake with Stephenson frosting, rather than the reverse. Stephenson describes their process as him massaging Galland’s first draft, which would indeed slant the prose towards the originating writer. But many, many distinctive Stephenson touches abound, and, as I said, the product shows no cracks or kludges, and is a pleasure to read. Our narrator–for the most part, since intermittent sections are delivered in other first-person voices–is one Melisande Stokes, a linguist in academia struggling to get by on adjunct status. 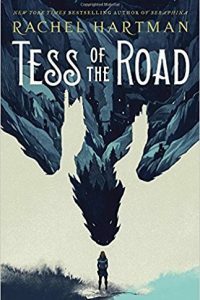 She has the good fortune to literally bump into a fellow named Tristan Lyons, a handsome rogue who proves to be part of a secret government project named D.O.D.O. He soon recruits Melisande for her polyglot abilities, but reveals little. Nevertheless, Melisande quickly learns some amazing facts. Magic was once a real, measurable force in the world, but it went extinct in 1851, due to a kind of universal wave-function collapse. The purpose of DODO is to restore magic as a workable weapon for the benefit of the USA and its allies. Enter onto the scene Dr. Frank Oda and his wife Rebecca. (Rebecca’s journal entries provide one of the other significant voices.) Dr. Oda has built a kind of Schrodinger’s Cat Box–the cryogenically cooled ODEC–inside the tight confines of which magic is locally permissible. But how to employ it? Easy! Find the planet’s last remaining stymied inactive witch, a centuries-old gal named Erszebet Karpathy. Once inside the ODEC, the first thing feisty and willful Erszebet does is to rejuvenate herself into va-va-voom pulchritude. And then she’s ready to cast some spells. Now this oddball team has to prove the utility of their discoveries to their government minders. They decide to embark on some time-travel jaunts, serving as impressive and also practical stunts: Tristan to Elizabethean London and Melisande to Colonial Boston. But profiting from intervention in the past proves more difficult than first envisioned. Erszebet explains that the many-Stranded multiverse resists changes until the same changes are performed multiple times on a critical mass of Strands. And there is always the danger of Diachronic Shear, where the multiverse reacts to tampering with a deadly implosive rearrangement of itself. Not only that, but for time-travel to work from past to future, the travelers have to enlist the help of local witches (all pre-1851, of course). One of these is the Irish adept Gráinne, working as a harlot in Kit Marlowe’s London. (Her epistolary contributions form the other major first-person account.) The charming and wily Gráinne will soon prove to be no compliant catspaw, but rather a deadly schemer who will threaten not only the existence of DODO, but also the existence of our whole timeline. Only the heroic efforts of the original crew might possibly succeed in thwarting her. 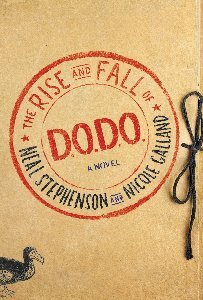 The whole narrative concerns about five years of frantic and unpredictable activity, and when DODO really moves into high-gear–the invention of a time-travel computer app dubbed the Chronotron; the recruitment of many witches and martial-arts warriors; the addition of more 21st-century personnel–Galland and Stephenson switch their format from straight narration by Melisande to include numerous “multimedia” presentations: documents, transcripts, interoffice memos, etc. While it’s amusing to see this bureaucratic side of a magical operation, causing a pleasant cognitive dissonance in the reader, I tend to miss the immediacy of Melisande’s now-intermittent voice. I do have to admit that Stephenson and Galland’s ingenuity and droll humor with their documents is impressive. For instance, they manage at one point to deliver crucial information in the form of the simple list of Google search terms employed by a Viking! In any case, Stephenson’s flair for historical recreations from a postmodern angle, as seen in his Baroque Cycle books, is on display here as well. The cast of characters, huge enough to require a glossary of names, which also includes definitions of the many acronyms and concepts, is individualized with nice touches and much verve. These larger-than-life figures bestride the events with much elan vital, especially the witches Gráinne and Erszebet. The satire on governments, militaries and bureaucracies is sharp-edged. We even get some Secret Masters action with the intervention by the ancient banking family known as the Fuggers. 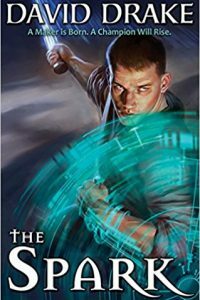 The general conceit–magic disappearing in the face of a paradigm shift–is hardly new (see works by Larry Niven and Matthew Hughes, for instance), but is nicely elaborated. Finally, an open-ended slambang climax offers satisfaction without full closure, pointing us towards a sequel. Ultimately, Stephenson and Galland, full of zest and brio, have expertly assembled elements found also in Connie Willis’s time-travel forays; Kage Baker’s Company series; Liz Jensen’s My Dirty Little Book of Stolen Time; and Keith Robert’s Anita, along with so much other good original stuff, into a delicious soufflé of adventure, laughter, hubris, and mind-twisting diachronic paradoxes.